Lobbies and hallways are the first impressions when we enter a building, and when properly designed, they are of a great importance to the overall experience of the occupants and visitors. Lobbies are no longer just the ways to get to the elevator, but are increasingly designed as welcoming social spaces. 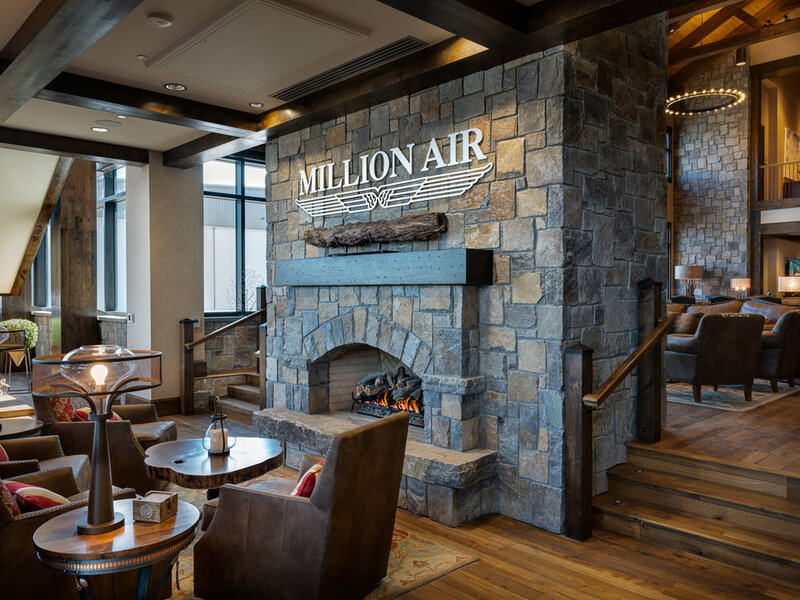 Many hotels, residential and commercial buildings now go to great lengths to design the lobbies and hallways to match their image and prestige. Whether photographing the lobby at The Waldorf Astoria Hotel (before they closed for renovation), or beautiful lobbies and hallways around Manhattan landmark buildings executed by my New York based client, Ari Group, Inc. there are always some challenges. First and foremost, having a great liability insurance coverage is a must, many building managements will not allow any commercial photography without a certificate of insurance. Capturing a lobby in the right light is essential. Tastefully combining two different color temperatures is always a challenge if we shoot during the daytime, even though many a times I like the effect of the cold blue light seeping in and dissolving with warm interior lights. Having people in a photograph is usually a great idea, after all, the spaces are made for them, but due to privacy and legal issues of obtaining model releases, I usually have to wait for the moments when there is no-one walking by. Striking a friendly tone with the doormen is highly recommended, they can be very helpful with the traffic flow or with the parked cars blocking the view outside. A midtown lobby by Ari Group, Inc.
Hallways are not always just a path from room to room - besides tying together different spaces - a hallway can be a perfect spot for playing host to a gallery wall. Shooting hallways with a usual wide angle lens creates an unflattering deep tunnel-like perspective. I find my 45mm tilt/shift lens an ideal tool to compress the scene back to a more pleasing view. 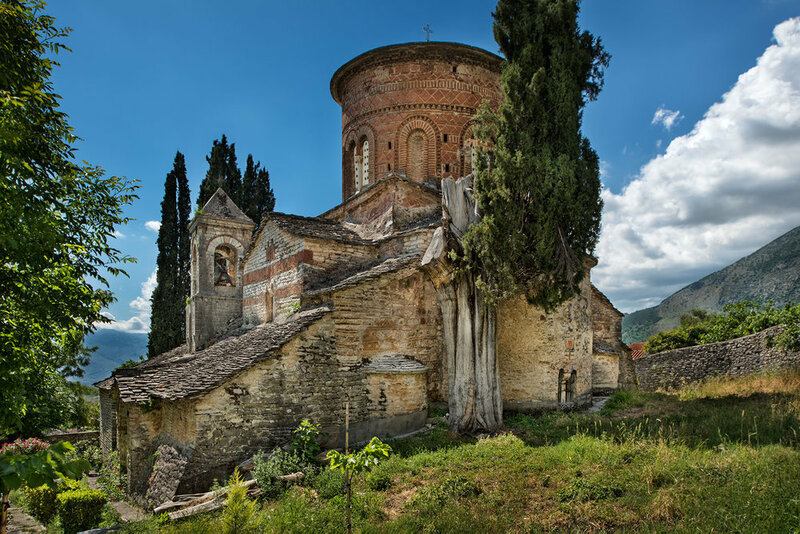 While doing research on history of architecture of my native Kosova and Albania, I came across Adventures In Preservation, an organization from Colorado, dedicated to safeguarding the world’s architectural heritage. Its programs give volunteers from all walks of life the opportunity to be involved in preservation in a variety of hands-on ways. After a lovely chat over the phone with AIP co-founder Judith Broker, I volunteered to go to Albania and photograph their work in the beautiful town of Gjirokastra, a UNESCO World Heritage Site, where AIP was involved in restoration of some beautiful examples of distinctive houses that were predominantly built with stone (hence the city’s nickname "City of Stone"). During my one week stay, we went on to visit a few breathtaking places, like Labovë e Kryqit, famous for St. Mary’s Church, one of the oldest churches in the region. It has beautiful Byzantine architecture with some original and unusual features, like circular dome and fish-bone pattern of the exterior. Another magnificent place in architecture and scenery was Butrint, one of the most important archaeological sites in Albania. With its immense wealth of cultural and historical value, Butrint was declared a UNESCO World Heritage site in 1992. After a week, we all traveled to my native Kosovo, where we scouted a possible new project for AIP. We visited several villages known for stone houses that were subjected to deliberate destruction by Serbian forces during the 1999 aggression. This was an unforgettable experience for me, I got to visit and photograph some beautiful places and structures in Albania, and most importantly meet and become friends with some remarkable inspiring people dedicated to a noble cause of preserving heritage architecture.